Emily and Demian explain how attendees can prepare for an event and network with people they want to meet. You’ll discover how different types of event sponsorships can build brand awareness and help you find prospects. 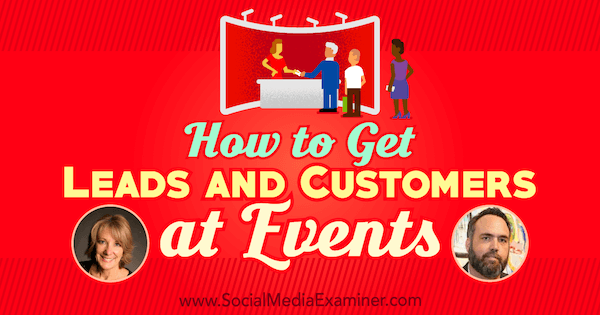 How to Get Leads and Customers at Events featuring insights from Emily Crume and Demian Ross on the Social Media Marketing Podcast. Events are a great way to meet people and develop long-term relationships, Emily explains. Events are also a great way to increase awareness of your business. At the time of this interview, Emily is at INBOUND in Boston with “22,000 of my new potential best friends.” Everyone is attending sessions and learning from each other. Emily is going to demos, meeting new customers, and finding potential tools and solutions for the Social Media Examiner audience. Her secret mission is to find opportunities, which is why so many people go to events. It’s also about speeding up the KLT (know, like, and trust) factor, Demian adds. You’ve got to get to know someone and like them, and then you’ll be open to trusting them. 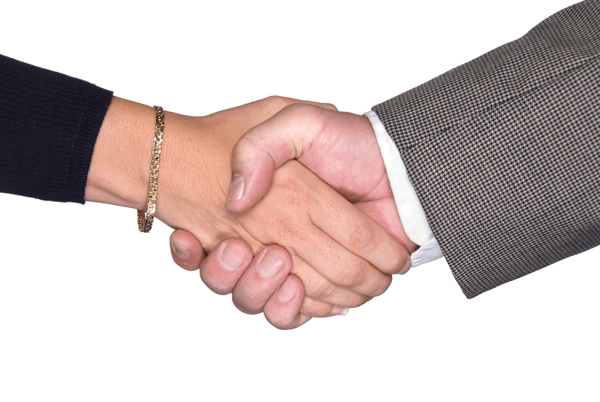 People want to do business with people they trust. Because you’re physically able to talk to and reach out to people and build a connection, you expedite that relationship. Networking in person is still so important, even in 2017. When I first started Social Media Examiner in October 2009, I went to two events, BlogWorld and MarketingProfs B2B Summit. In about a week, I accomplished something that would normally take a year or more. Something magical happens when you meet people face to face, even if opportunities don’t present themselves immediately. Attend events to meet new people and jumpstart building relationships. 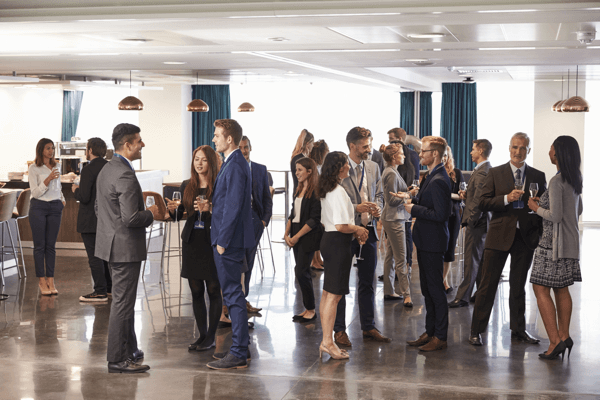 Whether you’re in the event world, a consultant looking for customers, a company that sells digital or physical products, or in professional services, you can benefit from going to events. Listen to the show to discover some of the people I became friends with at events in October 2009. Emily, Demian, and I discuss the four different levels of event involvement. The first level is buying a ticket and going to an event. At Podcast Movement and VidSummit, my goals were to network, so all I did was stand in the halls, talk to people, and meet some of my existing contacts. Often, those contacts would introduce me to new people. Also, I might host a breakfast, lunch, or dinner. When you sit down to share a meal with people, amazing opportunities present themselves. Emily likes to meet with existing customers and support their activities at events. For instance, she’ll attend their sessions and go to their demos so she can also learn more about their businesses and find ways to help them connect more deeply with our audience. Go to activities that align with your type of business, she suggests. Learn new things, get inspiration, and hone your craft while finding other like-minded people. Demian goes to events to meet with people who see the power of exhibiting, as well as to discover who their decision-maker is (something easier to find out in person). He wants to learn about what people do so we can see whether it’s a good fit. Whether you’re there to scope out exhibitors or as an attendee, respect people’s time. They want to meet with as many people as possible. The same goes for networking with other attendees, I add. Meet with as many people as possible. You need to do your homework and prepare yourself, Emily says. That means visiting the event website, understanding the agenda, and finding the times of the sessions you may want to attend and when any expo is open. Know whom you want to meet. At events, it’s great to be of service, Demian adds. He’s helped people set up their booths and offered to grab them coffee. He wants to leave them with the impression that he’s there to help them, which he is. I ask Emily to share tips for walking up to somebody you don’t know, and she suggests using an icebreaker. You don’t want to launch into your business pitch and you don’t want them to launch into theirs. Comment on an item, compliment their clothing, or comment on the traffic or the business of the booth. For example, people tend to comment on the purple glasses Emily wears when she goes to events. Demian says to be direct and transparent when talking to somebody whom you see as a potential prospect. Don’t make it sound like you want to buy their service. Explain why you’re there, and then ask for the contact and a way to continue the relationship after you leave the conference. Get emails, Twitter handles, and Facebook addresses so you can follow up with them on all different levels. Listen to the show to hear my icebreaker recommendations. When a business wants to spend some money on visibility but doesn’t have an outrageous budget, that business can still be involved with events. Emily explains how at level two, you can find turnkey opportunities that may align with your business from a contextual or content standpoint. A business might sponsor simple things like coffee stations, charging stations, lounges, and other cool activations. Sponsorships are often available at all levels. Sponsoring content, when available, is a great way to have your brand aligned with a particular topic. For example, if the topic is video marketing and you have a great tool or solution for creating video content, track sponsorship is a perfect way to get your product into the minds of attendees almost subliminally. Coffee, charging stations, tracks, and lanyard sponsorships enable you to generate brand awareness without any physical human presence. This approach is perfect for organizations outside the U.S. that have a great brand and product but can’t afford international travel. Demian recommends that brands use this approach only if they’re somewhat known to people at that conference because it may not work for a new, unknown startup. You can get creative with this kind of sponsorship. Emily says a lot of events have their own brand personality. As an example, Content Marketing World, put on by Joe Pulizzi and the Content Marketing Institute, has a color: orange. They create breaks with orange snacks, like Cheetos, which is very on-brand for that event. Event sponsors can play into that. Listen to the show to learn about a creative sponsorship Hootsuite did with popcorn when launching an add-on to their platform. The next level of event involvement is having a booth. Demian explains that all companies have the same sales funnel: people who don’t know who the company is, people who sort of know who the company is, people interested in the company, and customers. Booths allow companies to get in front of all four groups at once. Everyone will be grateful to find out about you and get a hands-on experience. Plus, customers and fans enjoy meeting companies they like face to face. An expo booth is the next level of event involvement. Demian recalls what Twitter did with their booth at a direct-marketing conference. In a large booth with three televisions, Twitter walked people through the process of buying ads and reaching their target customers. The hands-on experience was great, especially for those who might not understand how to target people on a digital platform. Aside from the usual things like demonstrating your product or talking to experts in your booth, Emily suggests having a fun game of skill that leads to a raffle. She’s seen basketball games, ring the bell with a sledgehammer, a circus sideshow-type of game, and booths where you get inside a glass booth and grab dollar bills. These fun ways to get people to participate create excitement, activity, and traffic, and get people looking around. You can bait people into your booth, too; whether it’s with candy or fun promo products. For some items, you can offer them in exchange for scanning an attendee’s badge. Emily says these products can be on-brand and are fun if it’s something people will wear. For example, a friend who owns SmartBug Media gave away green, glow-in-the-dark glasses that you can see everywhere. Imagine people associating something like that with your brand. When you go to an event, Demian says, think about your target. For example, say you want to reach influencers. If you’re looking at VidCon, this show is so fan-based that the influencers aren’t going to be on the floor, so I would definitely look at sponsoring something that put my brand in front of those influencers. 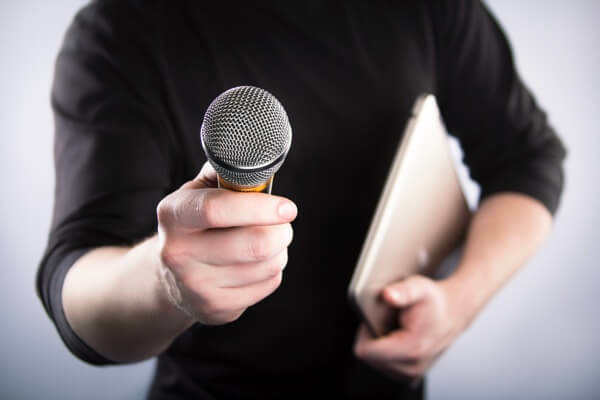 If you plan to record interviews in your booth, I add, you can reach out to the experts who are going to be there, especially if you already have relationships with them and they have an existing audience. For instance, I saw Mari Smith go live from the Adobe booth at an event. Coordinate with experts so they can come by your booth for an interview. Whether you broadcast the interview live or record it, it will naturally draw a crowd. Do an interview with an influencer at your booth to draw a crowd. Using the technology of the moment, such as Facebook Live, can be very compelling, Emily adds. This technology can draw in people not only at the conference but also beyond the hallowed halls of a convention center. Maybe go behind the scenes and give people a sneak peek or tease it up and say, “Hope to see you here later.” Use the hashtag so those paying attention on social media platforms might see your video and come to your booth. Demian shares the instance when Marcus Sheridan was asked by an INBOUND attendee, “Can I pick your brain?”, and he tweeted where he would be and sent people to a booth. This approach is win-win for exhibitors and speakers who need a meeting place. Speakers can also hand out fliers, telling people to meet them at your booth for an event, such as a book signing, at a specific time. Going by what Jay Baer says, “Help, don’t sell,” Emily talks about how Animatron created a valuable cheat sheet to hand out at the same event. The cheat sheet lists the formats and length for posting video on the different social platforms. Animatron wasn’t selling their product. They were helping marketers understand the requirements for creating videos. I ask Emily about the importance of booth location, and she says you want to be in a highly visible, trafficked spot, although that’s not always the case in large expos. When you’re fortunate enough to be in an environment where they think about the flow of traffic, you want to be in a good location, near friendly people, and have competitive separation. Good organizers will help you find the ideal spot. Listen to the show to discover how Emily and I did demos for a company in the pre-Social Media Examiner days. The most expensive sponsorships provide the most branding and exposure opportunities. Level-four involvement, Emily says, can be big or exclusive parties, lead sponsorships, and places where you get more visibility like live stages. Typically, people call these platinum, title, or lead sponsorships, I add. These sponsorships are the most expensive but also provide the most branding and exposure opportunities. For example, Dunkin’ Donuts and AMC put together a lounge at VidCon. They held a contest for people to have their own show and teams helped contest entrants record a little teaser. At the end, AMC was going to pick a winner. Dunkin’ Donuts was handing out coffee. Because of the performance aspect, people were sharing posts about the contest. That was another way to get your brand amplified beyond what was happening at this huge show. At Comic-Con, I saw The Walking Dead everywhere, including the badge and the scanner at the door. The show was clearly one of the title sponsors. They invested heavily, and everybody was talking about the show. Demian says this kind of a sponsorship gives you expedited branding. It’s not aggressive; you’re partnering with the event. This is especially true with party sponsors. Remember, when people get hyped up on a brand, they still want that interaction. Make sure that you have that physical presence (a booth) within the event itself. Emily shares an example from when she attended a small-business expo event with Google as one of the sponsors. They did content from a stage and used the entrance as an opportunity for market research. Attendees went through a short questionnaire, and after they completed it, they got a cool little gift from Google as a nice memento. Content Marketing World, where I’ve spoken for many years, always has a speaker party, I add. The sponsor gets a few minutes to talk to all of the speakers in one setting, which can be super-powerful for the right kind of sponsor. Listen to the show to hear another example of a lead sponsorship. Hemmingway has both a web-based and desktop app. 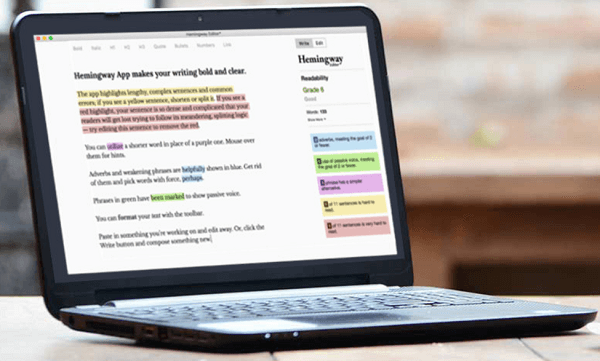 Hemingway Editor also offers a desktop app for both Mac and Windows for $19.99. One of the bonuses is the ability to export text straight to WordPress or Medium. Listen to the show to learn more and let us know how Hemingway Editor works for you. Connect with Emily Crume via email: Emily@socialmediaexaminer.com. Email Demian@socialmediaexaminer.com and connect with Demian Ross on LinkedIn. 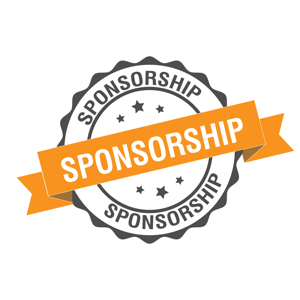 Get our free Sponsorship Playbook. Discover sponsor opportunities at Social Media Marketing World. Check out INBOUND and MarketingProfs B2B Summit. Find out more about Podcast Movement and VidSummit. Learn more about Content Marketing World, put on by Joe Pulizzi and the Content Marketing Institute. Take a look at SmartBug. Check out Mari Smith, Marcus Sheridan, and Jay Baer. Learn about VidCon and Comic-Con. What do you think? What are your thoughts on growing leads and customers at events? Please leave your comments below.